It took the US government a while, however, to warm to the idea. When Lee Hunt, a Houston-based oil executive and then the president of the International Association of Drilling Contractors first applied for a license to visit Cuba to discuss its energy sector, the US Department of the Treasury refused to grant it. 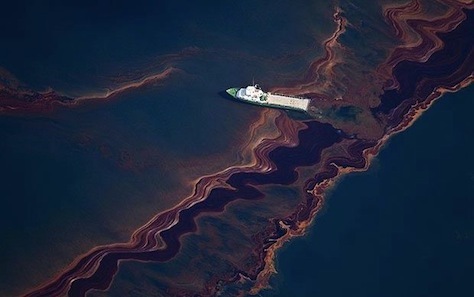 After the BP spill, however, the US government relented. Hunt led an IADC delegation for the first time in September 2011 to discuss environmental safety. “After the Macondo blowout, I think they saw the value of having someone go down there and assess the capability of the Cubans in their deepwater ambitions,” Hunt said. With the help of the Environmental Defense Fund, Hunt worked to establish a series of workshops to develop greater safety protocols throughout the Caribbean, involving not only the United States and Cuba, but Mexico, Trinidad and Tobago and others. William Reilly, the administrator of the Environmental Protection Agency during the George H.W. Bush administration and the chair of the Obama administration’s commission on the BP spill, even took part in some of the discussions, supported by the United Nations and organized under the Cartagena Convention, a little-known UN agreement covering several issues of marine and wildlife preservation in the Caribbean region. In the late 2000s, as the price of oil surged, Cuba became increasingly interested in developing its offshore oil extraction. The longstanding US embargo, however, made the process of hiring international experts difficult. Cuba produces only about 50,000 barrels of oil a day — that’s nothing compared to Mexico (around 2.6 million) or Venezuela (around 2.5 billion), and even Trinidad and Tobago produces more (80,000). It’s heavy oil, so the quality isn’t great, but it’s enough to meet around 40% of its domestic consumption. Cuba receives more than twice as much oil from Venezuela, its socialist ally. Despite the US embargo, Hunt came away from the discussions impressed with how much Cuban energy regulators and executives at Cupet, the Cuban state oil company, knew about the US regulatory framework, including the recommendations that Reilly suggested in his report on the BP spill. Today, even as US companies eye Cuban oil as a potential investment opportunity, the froth around Cuban offshore drilling has subsided, thanks in part to technical failures by Russian, Spanish and Chinese firms, Cuba’s growing emphasis on renewable energy and the collapse in oil prices that began last autumn. By the time the talks ended, US diplomats would already have a handy template for more difficult discussions for normalization. Hunt believes that the US workshops provided a ‘brick in the foundation’ of the new US policy on Cuba – and the more difficult conversations that lie ahead in 2015 and 2016 over human rights, greater trade and Internet freedom. “It was tangible evidence of the capability of the Cubans to work professionally in a mutual-interest framework and vice versa,” he said. LeoGrande added that the longstanding rift between the United States and Cuba had become an impediment to wider US action on several policy fronts throughout the region, not just on energy and the environment.